Our personnel are the keys to job performance. The ability we have in hiring and attaining quality people are what we base our future on. 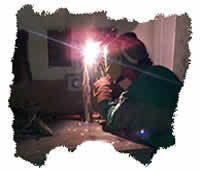 Seneca Steel Erectors, Inc. has experienced and proven field supervisors with an average of ten years employment each. In addition, we have a total field work force of twenty full time employees with an average of four years employment each. With this type of work force, we can keep a good continuity and quality workmanship for our customers. All workers are trained and certified by MSHA (Mining Safety Hazard Approval). The MSHA also covers OSHA requirements. We will meet any special in-house safety requirements as directed.